David Richards concentrates his practice in products liability, premises liability, automobile liability, breach of warranty and toxic exposure. Mr. Richards has extensive jury trial experience. He has led more than 10 jury trials and has assisted in numerous other cases that have been tried to verdict. Mr. Richards has practiced in numerous state and federal courts around the country. A significant part of his practice is devoted to serving on a team of national trial counsel for one of the nation’s leading consumer service providers. In this role, he has represented the client and its subsidiaries nationwide in general liability and automobile liability cases, and in complex class action litigation. 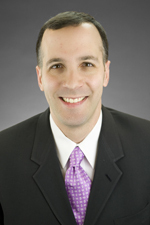 Mr. Richards joined Hinshaw & Culbertson LLP in June 1995. He has served as an instructor for the firm's trial advocacy program and also its continuing education program, Hinshaw University. Mr. Richards is also the Co-Chair of the Hinshaw's Mentoring Committee. "Warning, Warning: Warnings Required Under Illinois Products Liability Law," co-author, IDC Quarterly, Volume 16, No. 4., September 2006. "The Public Defender Defendant: A Model Statutory Approach to Public Defender Malpractice Liability," Valparaiso University Law Review, Fall 1994 (29 Val.U.L.Rev. 511 (1994)). Mr. Richards lives in Oak Park, Illinois with his wife and two children. Managing Editor, Valparaiso University Law Review, 1994-1995.